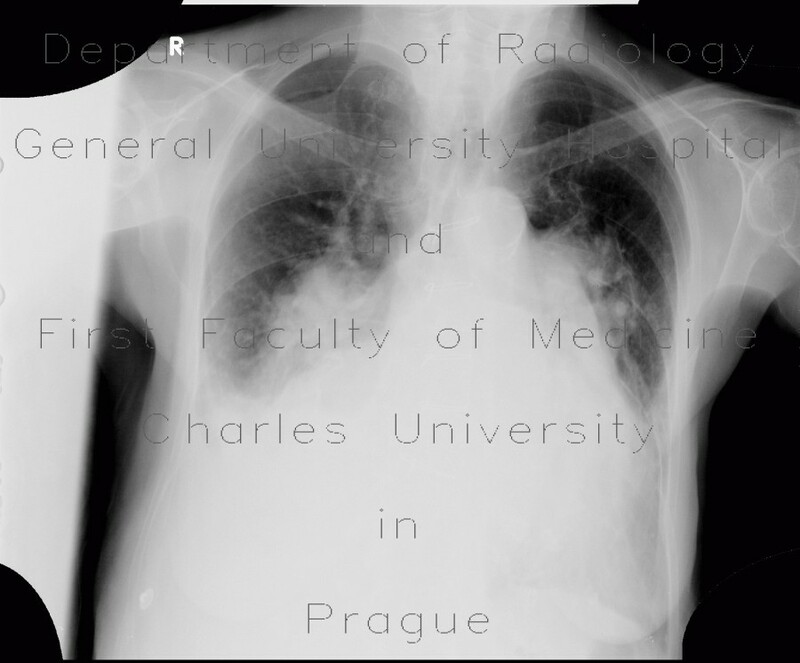 Chest radiograph show marked enlargement of the heart shadow with splaying of carina, prominent pulmonary bump and almost invisible aortic knob. Correlation with CT shows that both cardiac ventricles and atria are dilated, and so is the pulmonary artery. The aortic arch is pushed towards the midline. A thrombus can be appreciated in the truncus intermedius.